The last family portrait of the tour. Great family, great trip. 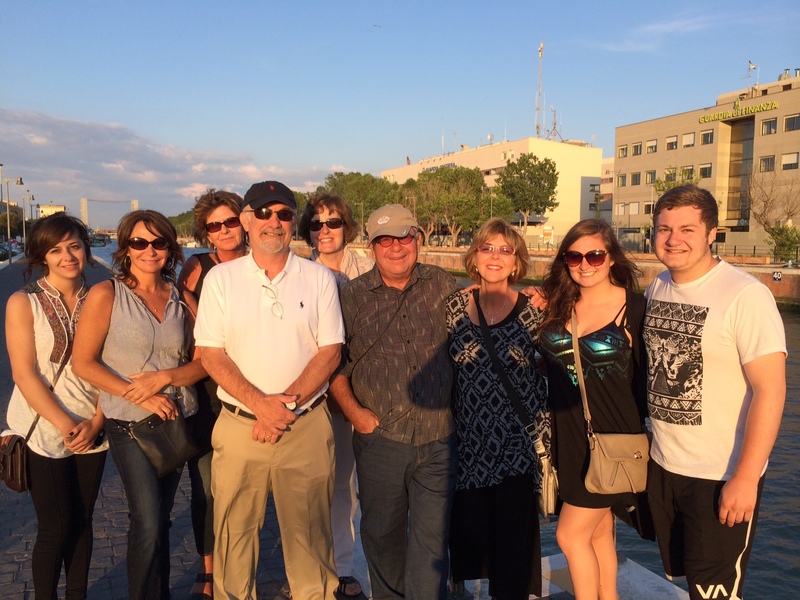 Thanks to the Macchias and the Daileys, Here along the Tiber River in Fiumicino. On the Southern Italy 2014 tour. June 3, 2014. 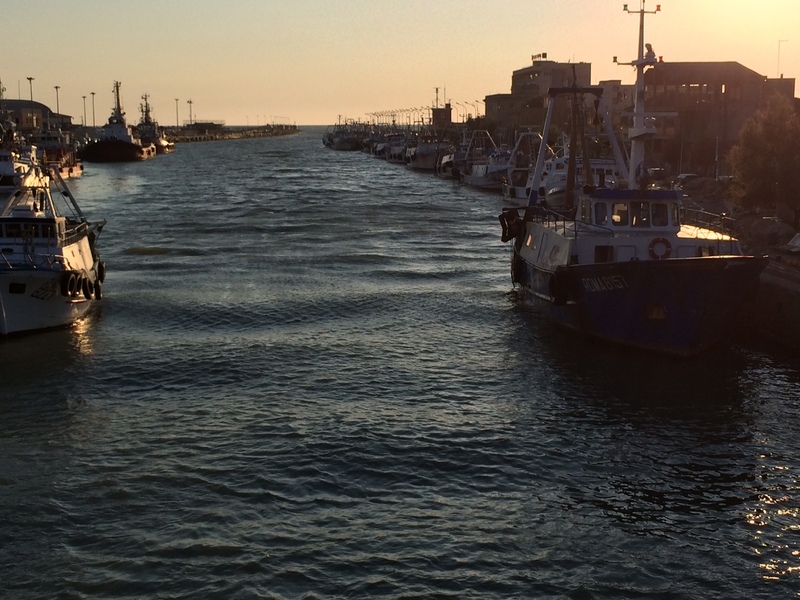 The old port of Fiumicino near Rome where the international airport is today. The Tiber River at sunset. On the Southern Italy 2014 tour. June 3, 2014. 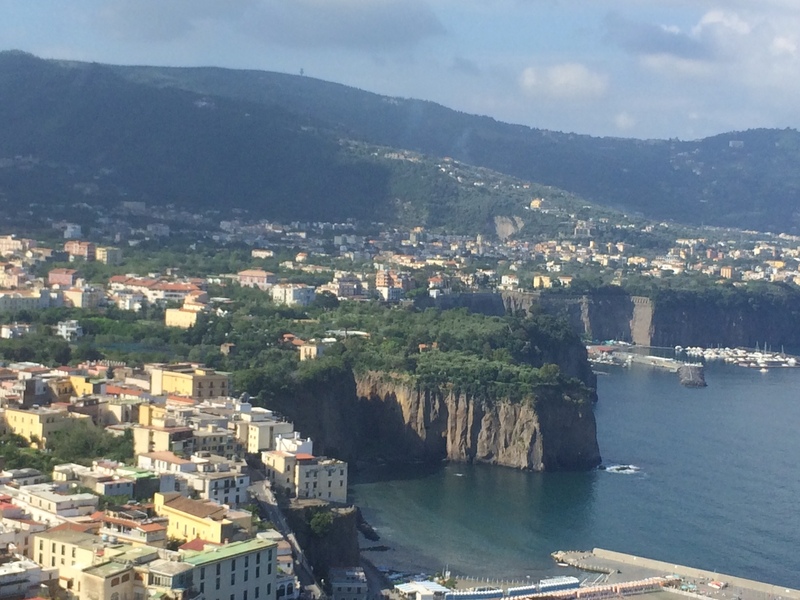 The day begins with a good-bye to Sorrento. Today we return to the Rome village of Fiumicino for our flights tomorrow morning. What a great adventure this has been! 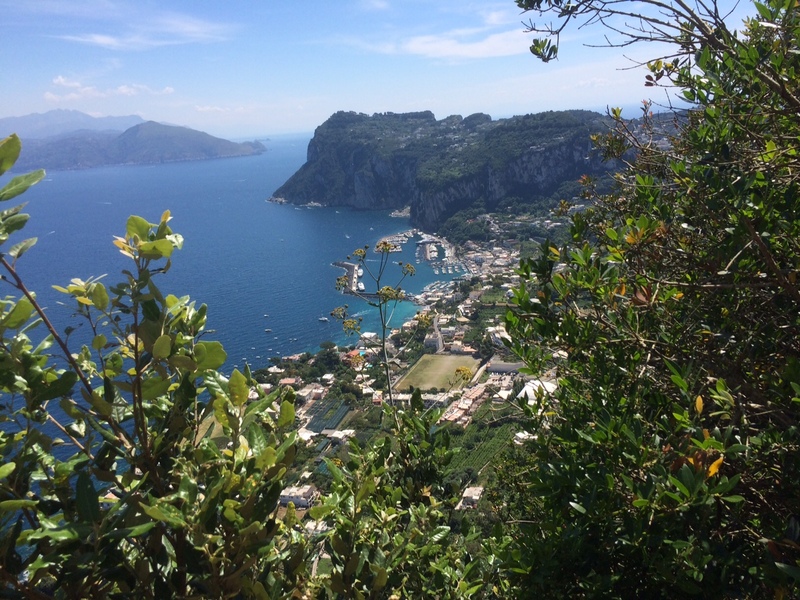 The town of Capri on the Bay of Naples. On the Southern Italy 2014 tour. June 2, 2014. 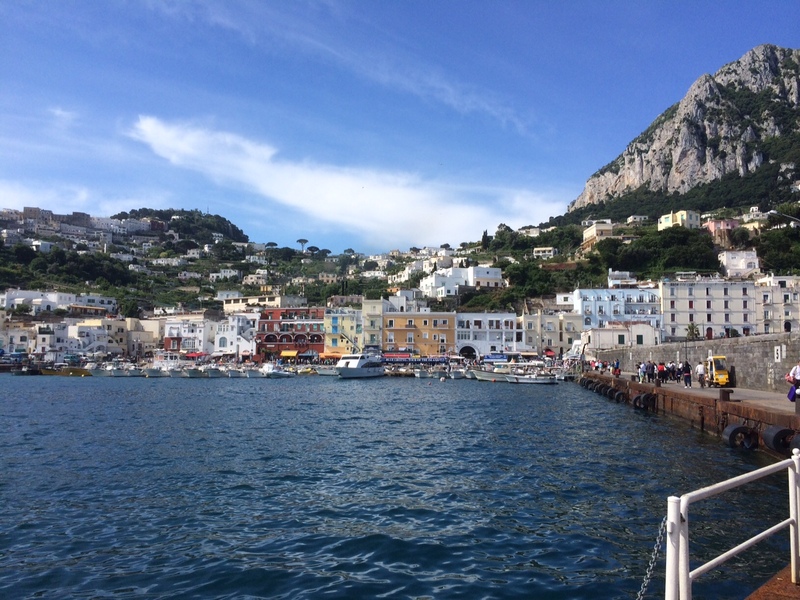 The day begins as we dock on the Isle of Capri. 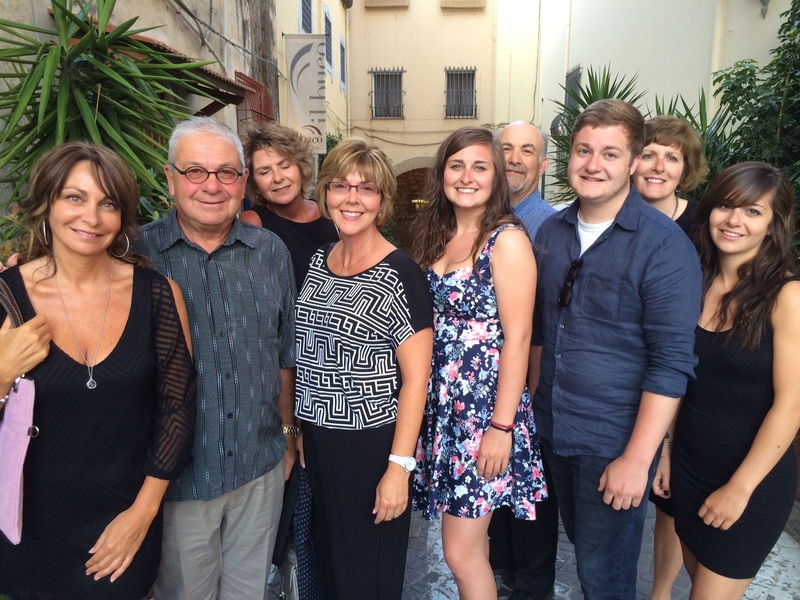 On the Southern Italy 2014 tour. June 2, 2014. The Family Macchia before the dinner theater. Sorrento. On the Southern Italy 2014 tour. June 2, 2014. 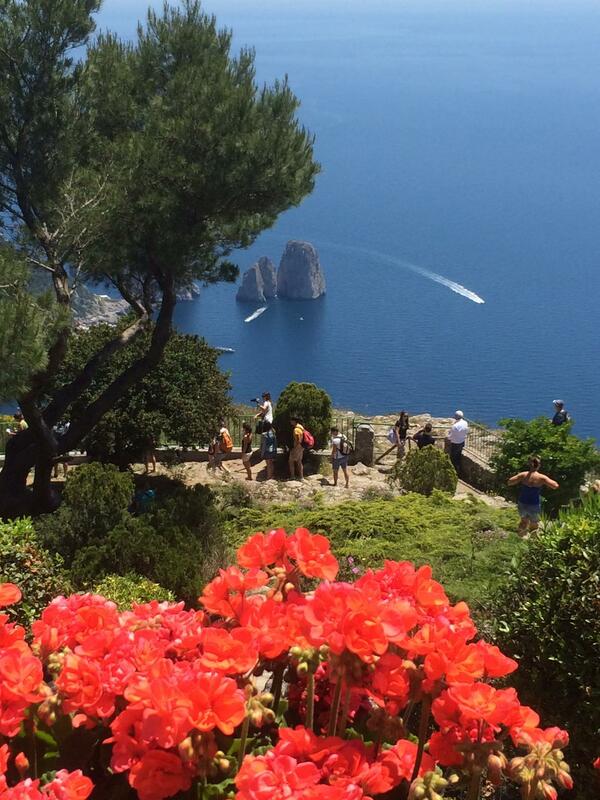 The rocks off the coast of Capri. On the Southern Italy 2014 tour. June 2, 2014. 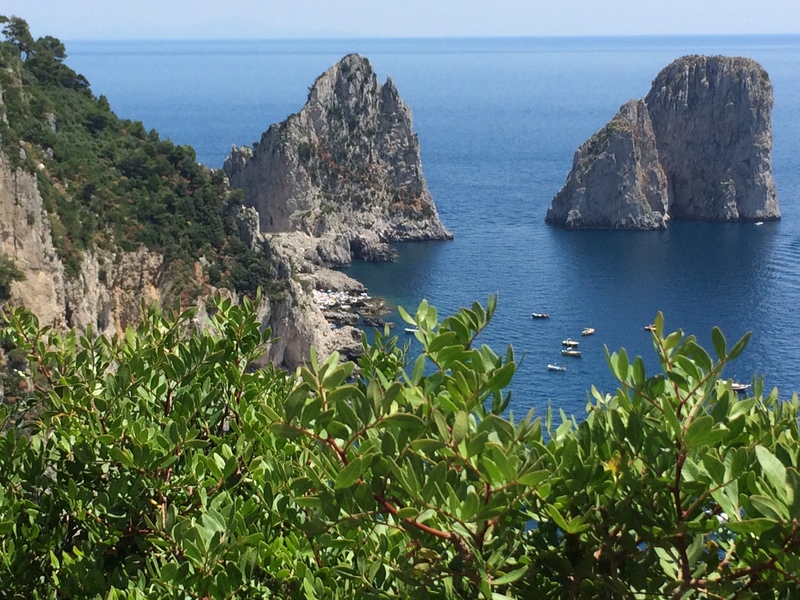 The deep blue Bay of Naples from the cliffs of Capri. On the Southern Italy 2014 tour. June 2, 2014. 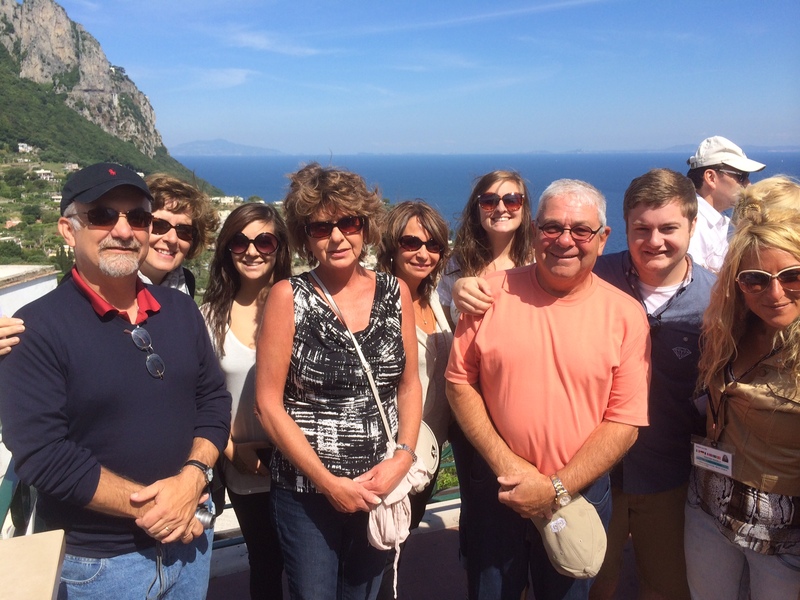 We arrive on Capri and meet our guide Rosa. On the Southern Italy 2014 tour. June 2, 2014. 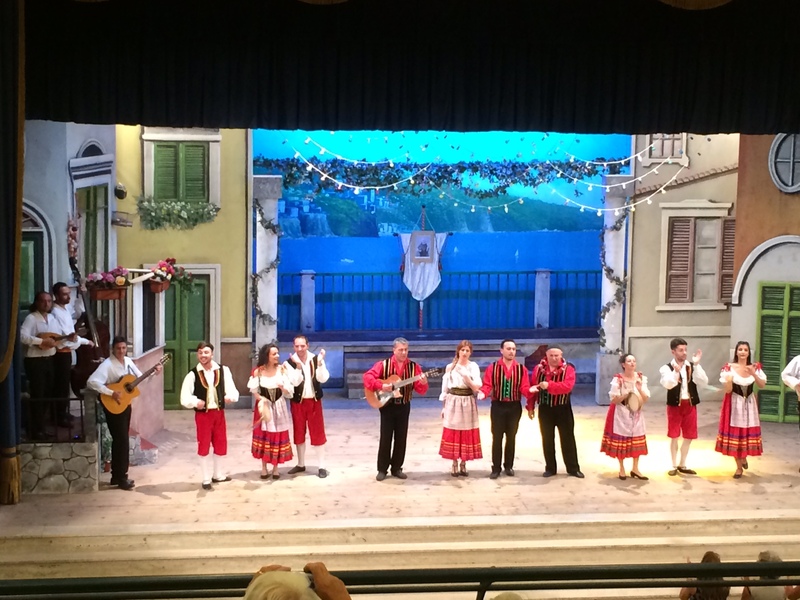 “Sorrento Musical” at Teatro Tasso in Sorrento. On the Southern Italy 2014 tour. June 2, 2014.